Always wearing silver or gold? I'm more of a fan of silver myself, but sometimes change can be good. Really. I am beginning to see more and more of oxidized jewelry...from earrings to necklaces...It's out there and just waiting on you. About The Artist : I offer an eclectic collection of jewelry, accessories and gifts for the home, all handcrafted by me in my Connecticut Studio. 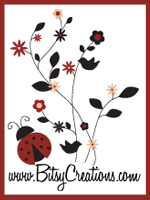 I love bright colors as you'll see in many of my creations. Description: Our mission at Vintage Body Spa™ is to provide affordable luxury focusing on vintage style with modern amenities as well as bringing nature full circle. Company Description: Our mission is to share our gift of scentual discovery with others by providing luxurious and refreshing products that please the nose and the spirit. 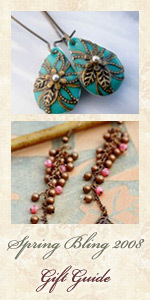 About The Artist: Laurie Warshawsky is the designer of all the jewelry at Elle-a-Belle Designs. She has worked in the retail fashion industry for over 15 years. 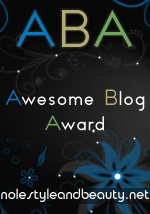 We need writers for our blog to keep things rolling and interesting around here. You can write in your sparetime about anything related to Indie Fashion, Style, and Beauty. As a bonus, you'll also get to plug your website (if you have an Indie-Friendly business) in every post. Interested? Send me a note to nolestyleandbeauty@gmail.com. If you haven't already, you should take a look at the Crafty Bastards Fashion Show youtube video. Email us and let us know what you think. Send us your photos and you could see them in our photo gallery that will be added to our site soon.